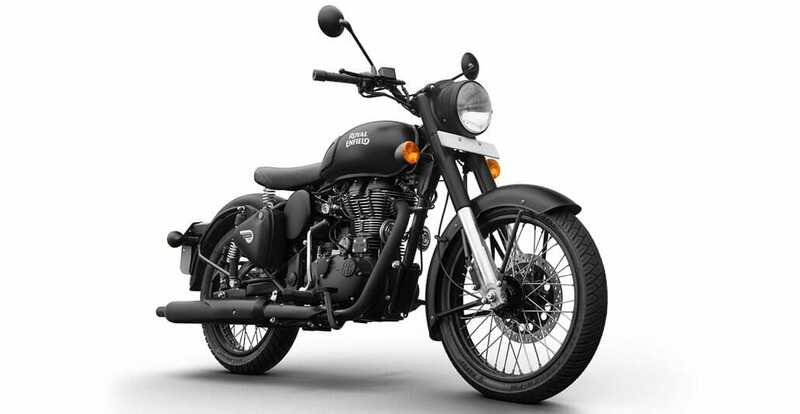 “New” Royal Enfield Classis 500 in Stealth Black. Royal Enfield celebrates the darkness. New is the Classic 500 Stealth Black. Technically it is identical with the well-known models, only on the rear wheel is now also delayed by a disk brake.